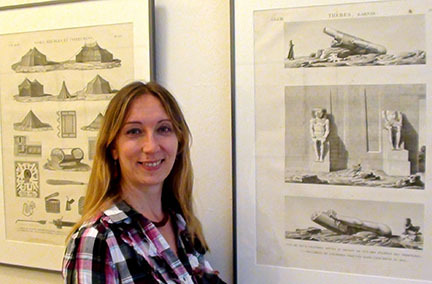 Rita Lucarelli is Assistant Professor of Egyptology in the Department of Near Eastern Studies at the University of California, Berkeley. She holds her degrees from Leiden University (Ph.D.), University "La Sapienza" in Rome, and the University of Naples. Her research interests include the religion, funerary culture and literature of ancient Egypt, history and translation of the Egyptian Book of the Dead, demonology in ancient Egypt and the Near East, and magic in the ancient world. Her various publication projects include Ancient Egyptian Demonology: The evidence of the magical and funerary papyri of the New Kingdom and Third Intermediate Period and The Book of the Dead of Gatseshen. Transcription and Translation (both in preparation).